Andrzej Tkacz, Kamil Tkacz, Elisabeth Duda et al. Warsaw 1942. The Second World War rages throughout Europe and Polish Jews are confined to life in harsh ghettos. Srulik, an eight year old boy, manages to escape from the Warsaw ghetto where he is held captive and flees into the nearby forest. Managing to live undetected in the forest he evades the Nazi soldiers sent to find him and soon finds his way onto a Polish farm where he must survive and avoid capture. 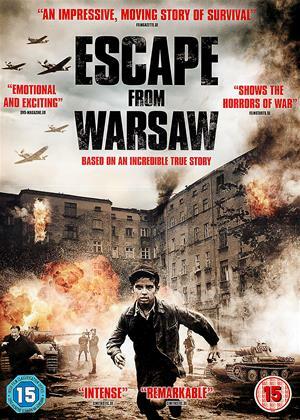 'Escape from Warsaw' is a true story of courage, survival and bravery against the backdrop of the horrors of WWII.